Nine-year-old Thomas Daniel had no idea he was being watched by officer Austin Lynema as he chased after the school bus that drove off without him. But thankfully, this angel in a cop car was about to make his day in more ways than one. 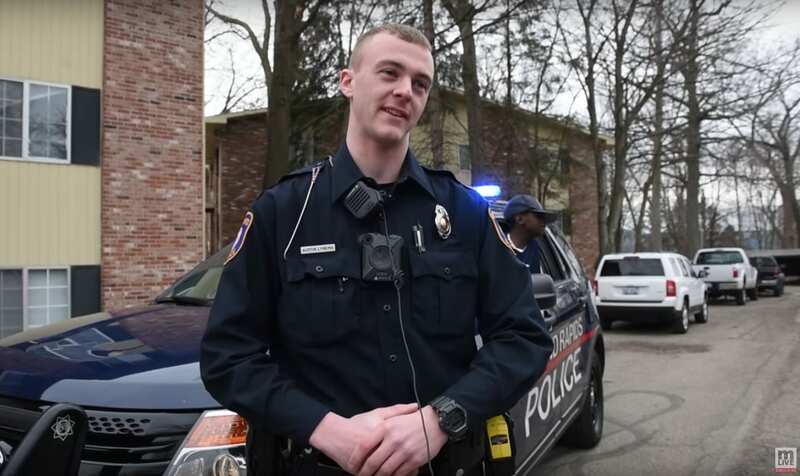 Austin asked the boy if he needed any help, and after Thomas told him his mom doesn’t have a car, the officer kindly offered to take him to school himself. 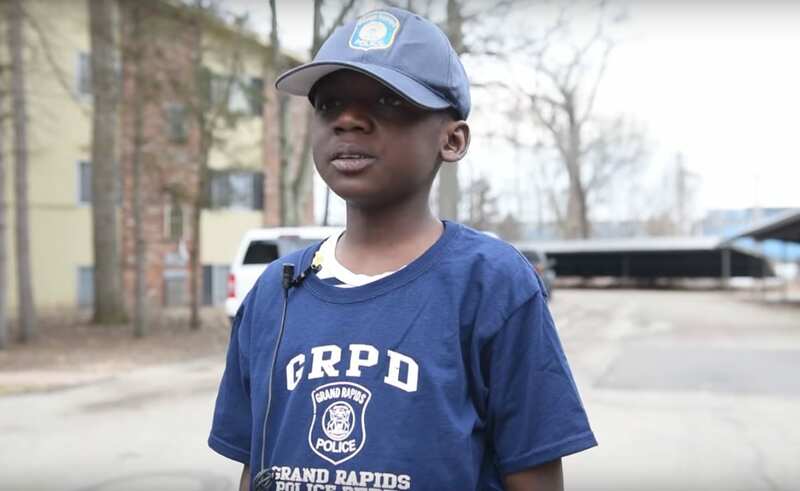 During the ride in the squad car, the two struck up a conversation in which Thomas revealed that it was his birthday. He invited Austin and all the police officers to come to his birthday party after school. The 9-year-old’s plea tugged on Austin’s heartstrings after he found out nobody else may be showing up to his party since he’s bullied at school. When the officer showed up to the party with his colleague, he noticed they were the only ones in attendance with the exception of Thomas’ siblings. Austin’s heart broke for the little guy — so he decided to whip up a spectacular surprise that surely made this deserving boy’s ninth birthday one to remember! When Thomas’ mother answered the unexpected knock at the door, her son was elated that this stranger-turned-friend would go so far above and beyond to make his birthday special. 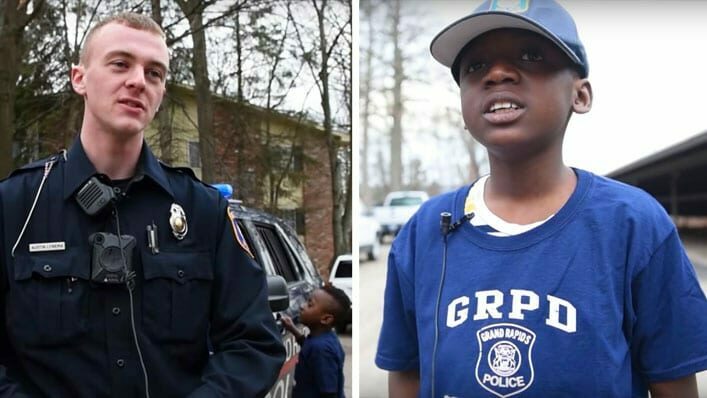 But to Thomas, Austin is more than just some police officer who gave him a fun birthday celebration. He’s a role model and a true hero that he aspires to be like.